$62 includes a two course breakfast, coffee, tea. 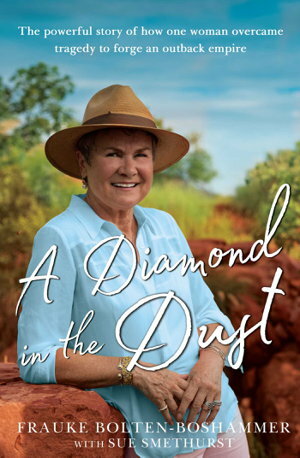 UWA Extension and Boffins Books, are delighted to present breakfast with Frauke Bolten-Boshammer on A Diamond in the Dust. Can't make it? We'll happily have a book signed for you. Call Boffins on 9321 5755 to make your arrangement. Within minutes of landing in Kununurra, Frauke Bolten had made up her mind to get on a plane back home to Germany. It was 1981 and the dusty frontier town was no place for a woman. However, Frauke stayed, determined to help her husband carve out a new life farming. Tragedy struck just three years later when Friedrich took his own life and she was left to raise their family alone. Twenty-six years after she sold her first necklace off the back porch, Kimberley Fine Diamonds in Kununurra is now home to one of the world’s largest collections of Argyle pink diamonds, with a client list that includes Nicole Kidman and Hugh Jackman. Frauke is credited for not only pioneering an industry, but for putting the tiny outback town and its precious diamonds on the map. A Diamond in the Dust is a tale of love and loss, hardship and heartache, but ultimately the inspiring story of how a young girl from Germany overcame tragedy to pioneer a diamond empire in one of the most unforgiving terrains on earth. 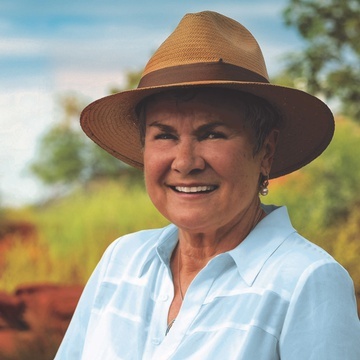 Frauke Bolten-Boshammer is a true outback pioneer who overcame tragedy to create Kimberley Fine Diamonds, Australia's most remote diamond house and one of the leading suppliers of the world's rarest diamonds, the stunning Argyle Pink Diamond. 5+ in stock - ships Wed 24th!